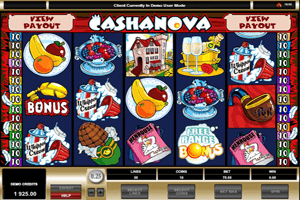 Online players can earn great rewards whether by forming winning combos of matching symbols on any of the 30 lines of the game or through the bonus features that the slot machine has to offer. For instance, there is the Barn bonus. It is a bonus round that is activated when players get 3x bonus key symbols scattered on the reels. Players will be taken to the barn where they will try and find the golden key as well as earning great payouts. If they find the key, they will activate another bonus round called the Get Lucky bonus. There is also the Free Range bonus round that is activated when players get a minimum of three egg symbols on the reels. They will be able to win up to 15 spins with a multiplier that can amount up to 5x.